A game of logic for those who love the Ancient Orient and everything related to it! 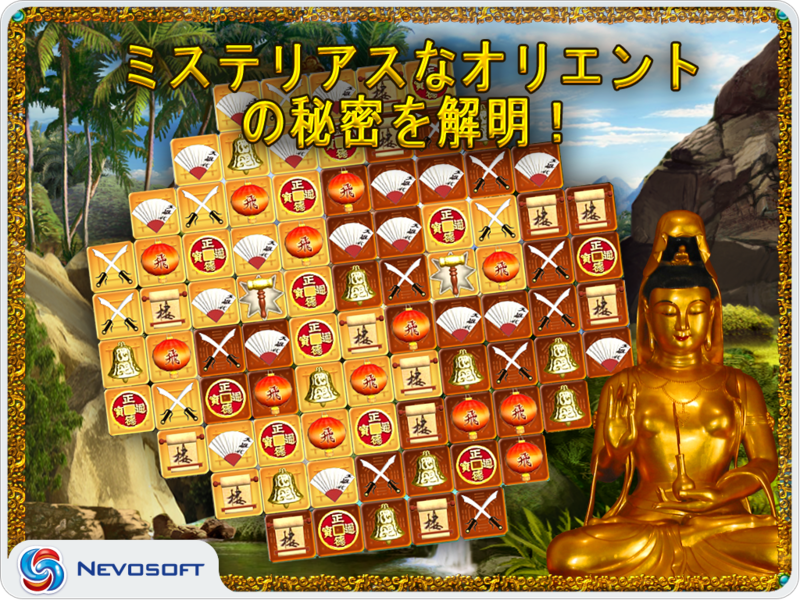 In this "three-in-a-row" puzzle game, you'll travel back in time to find 10 lucky charms which, according to the legend, bring wisdom, power, and wealth. 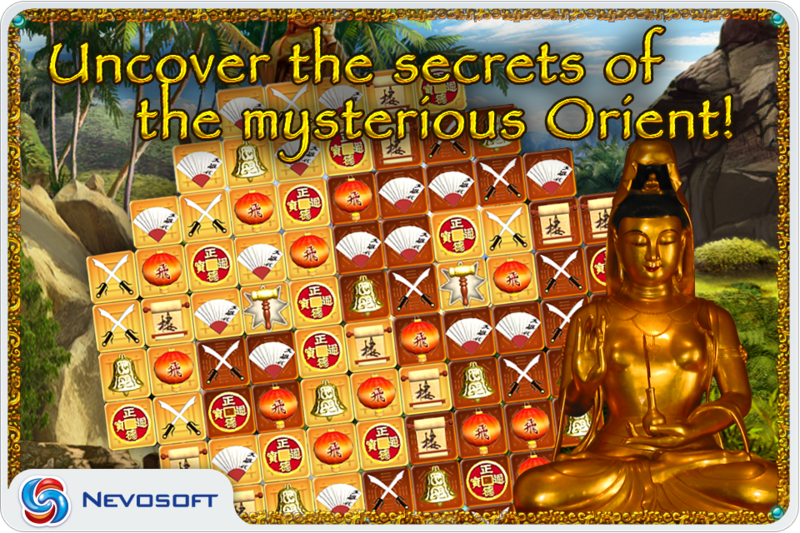 In order to get them, you'll need to solve ancient riddles that have challenged Oriental wise men by making rows of ancient symbols. You need to smart and fast because each board should be completed within a certain amount of time. This refined and mysterious game is a wonderful way to develop your imagination and wits, and the majestic Oriental landscapes and meditative soundtrack will make you forget about the passing of time. 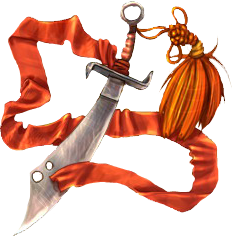 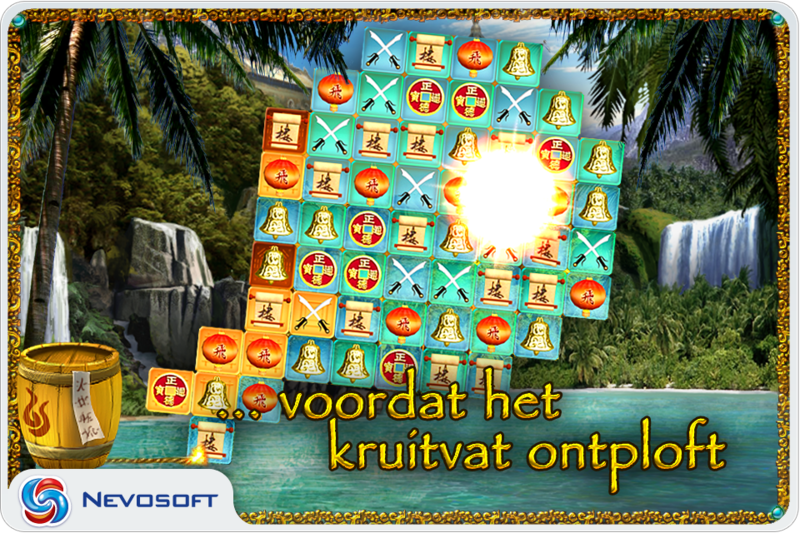 - Follow the path to the end and get to know the wisdom of the ancient Orient! 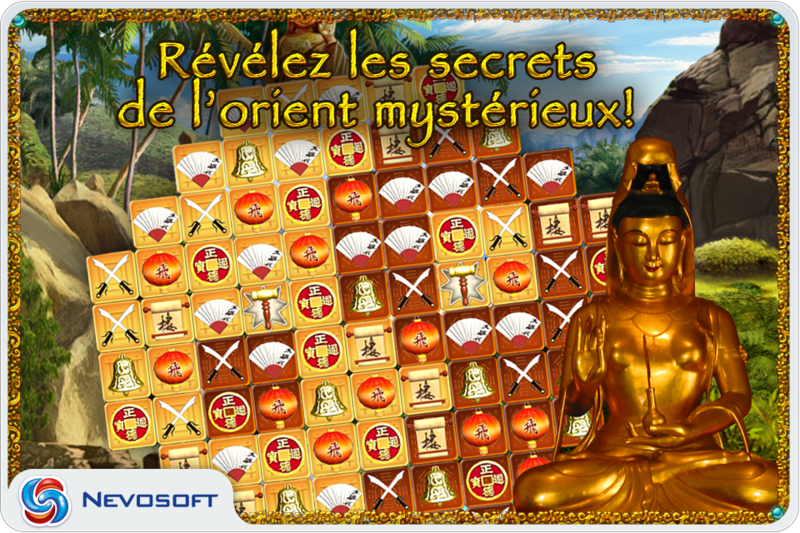 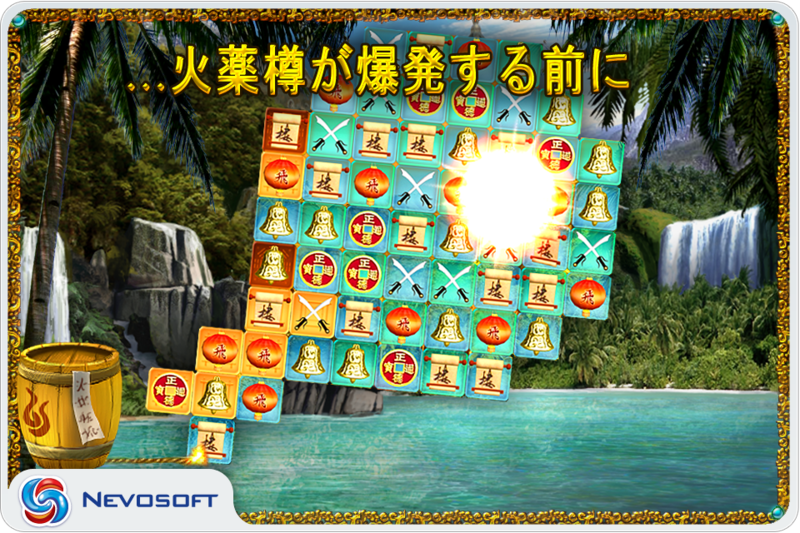 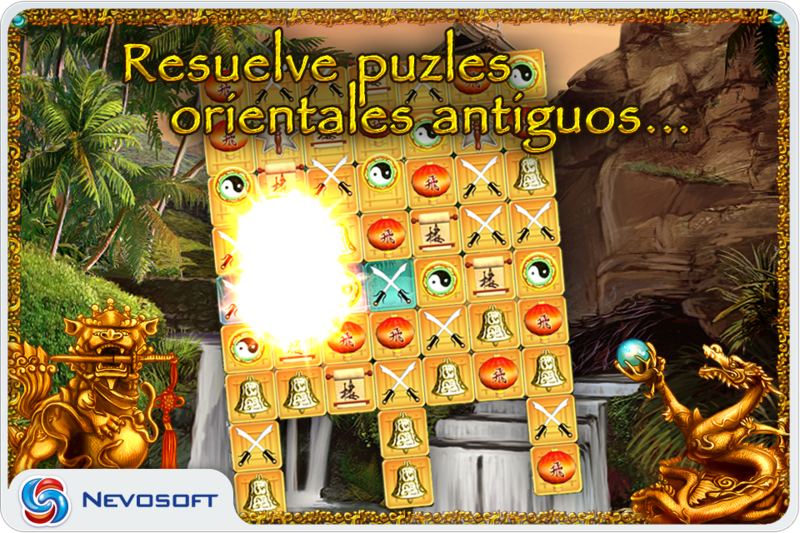 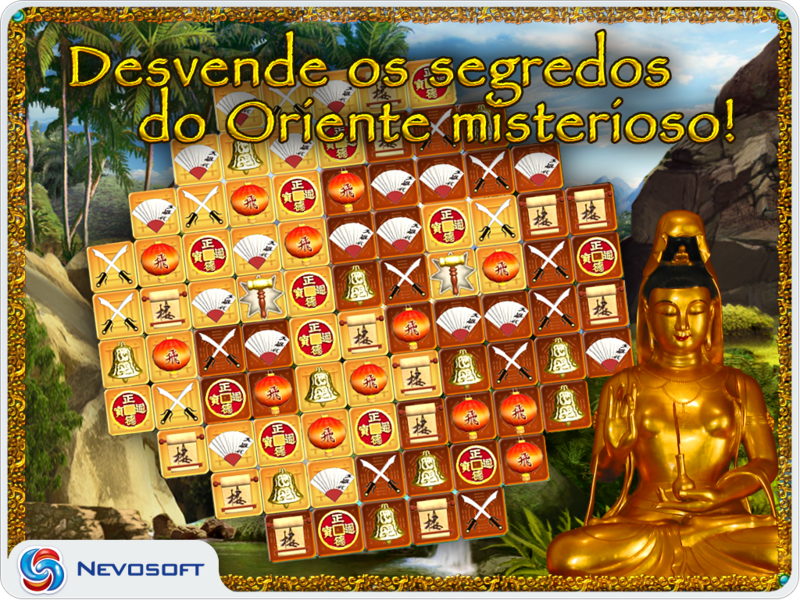 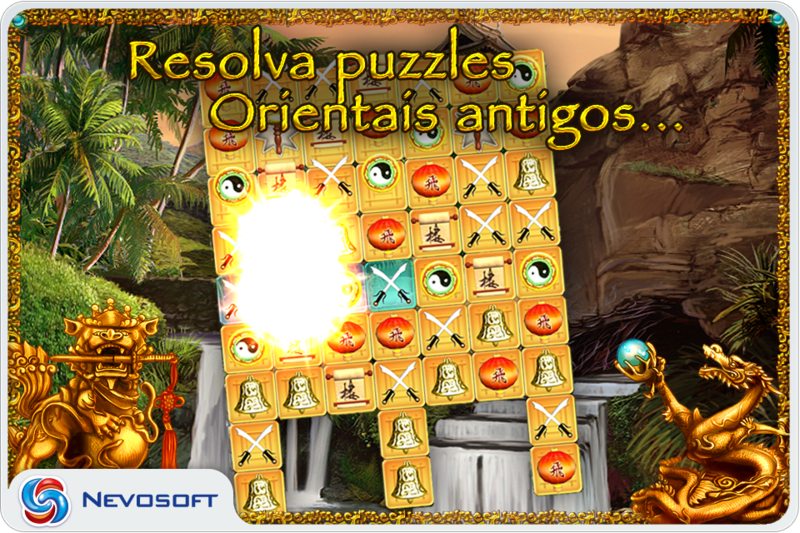 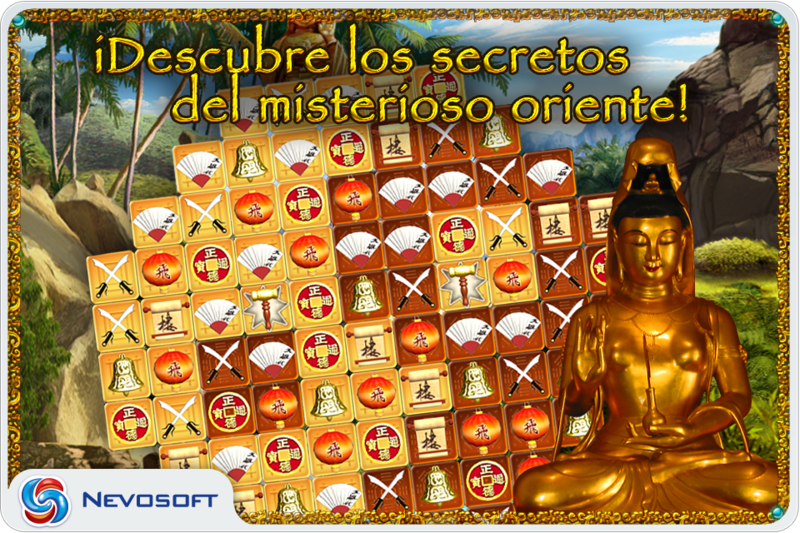 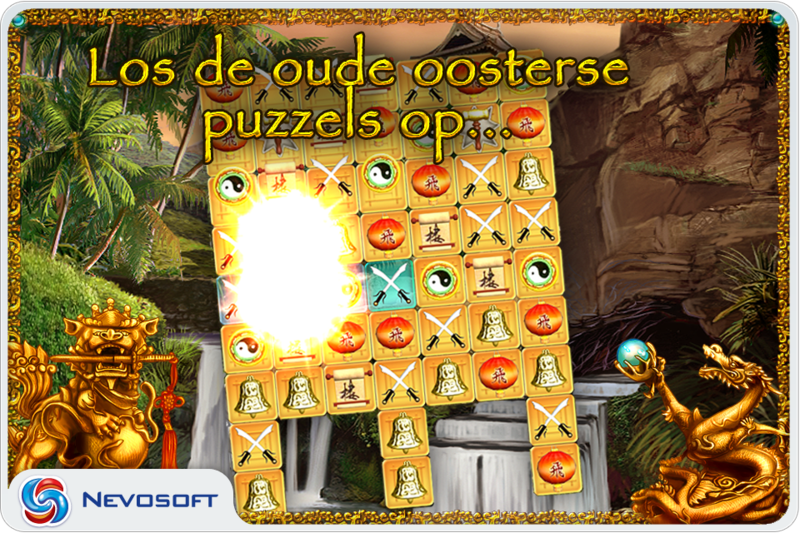 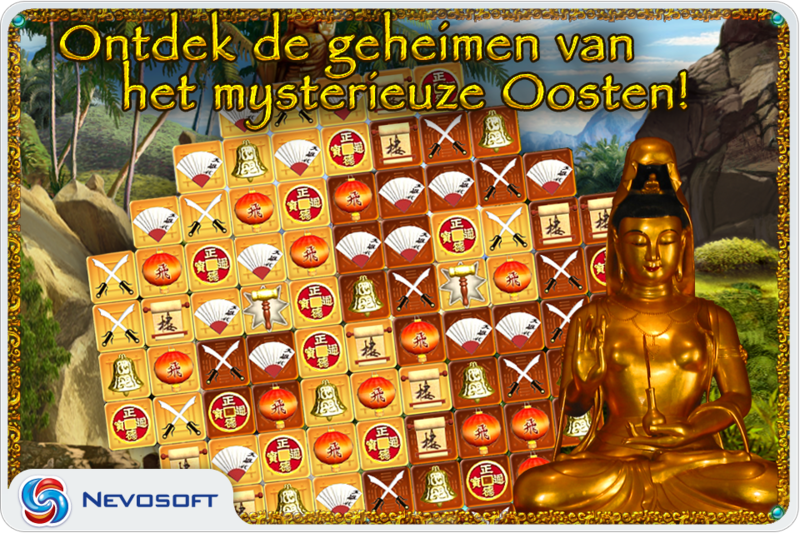 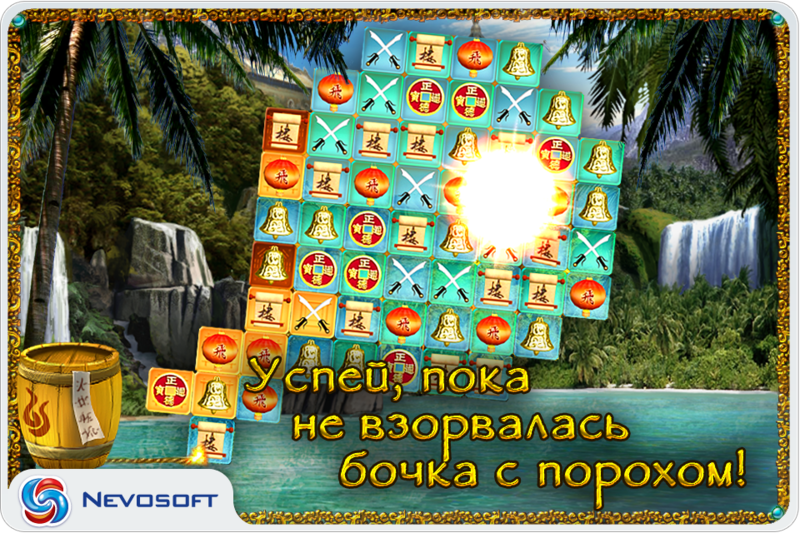 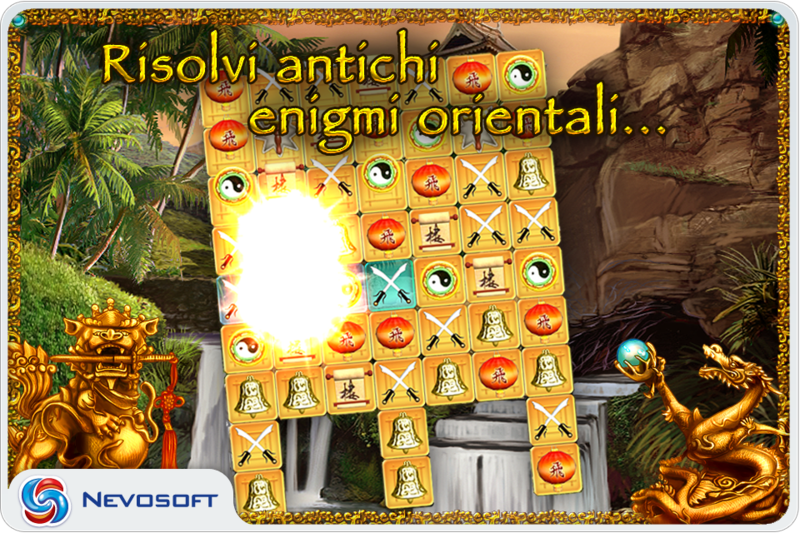 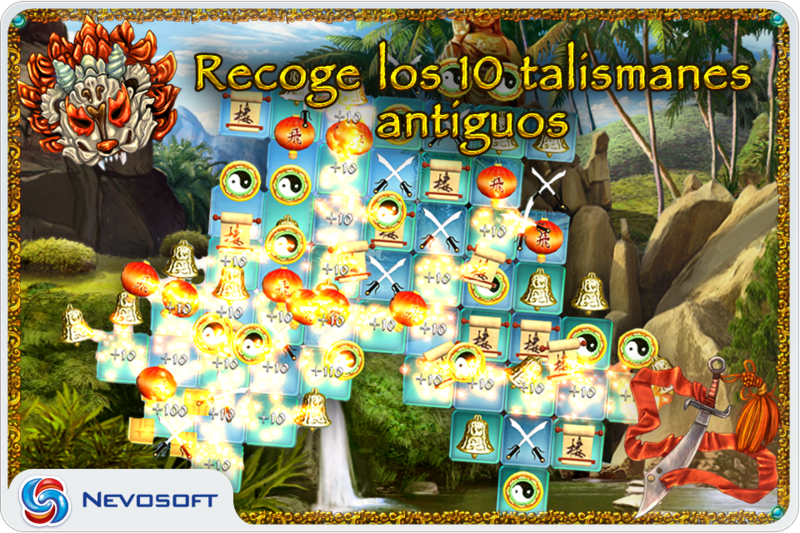 Solve the puzzles of the ancient wise men and collect all 10 Talismans! 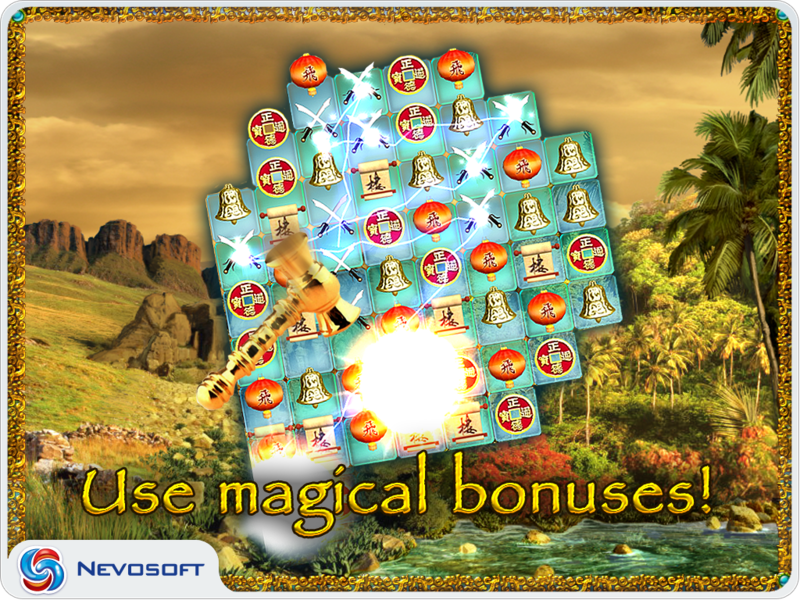 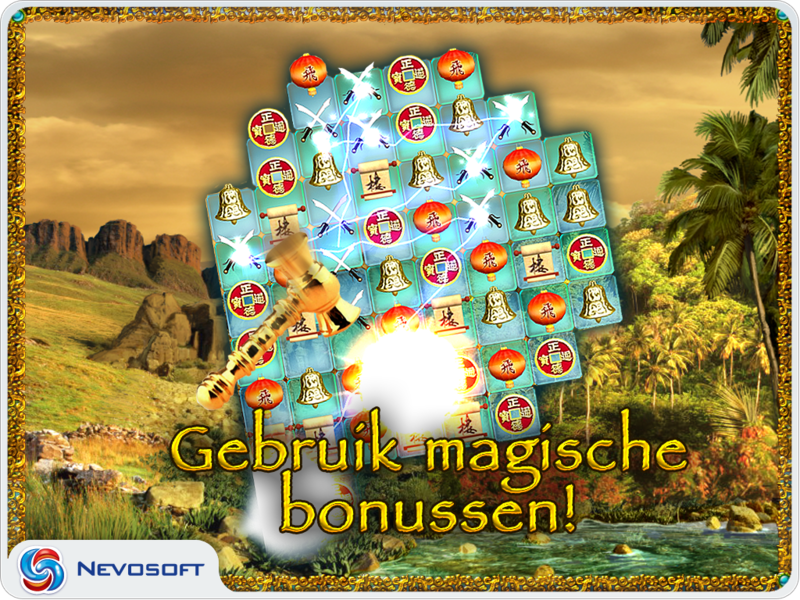 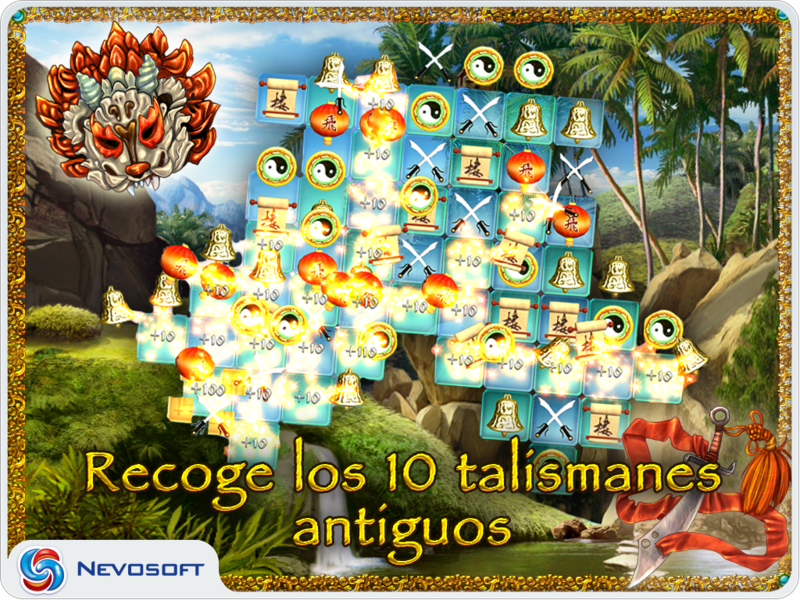 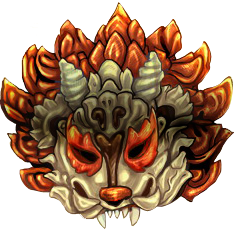 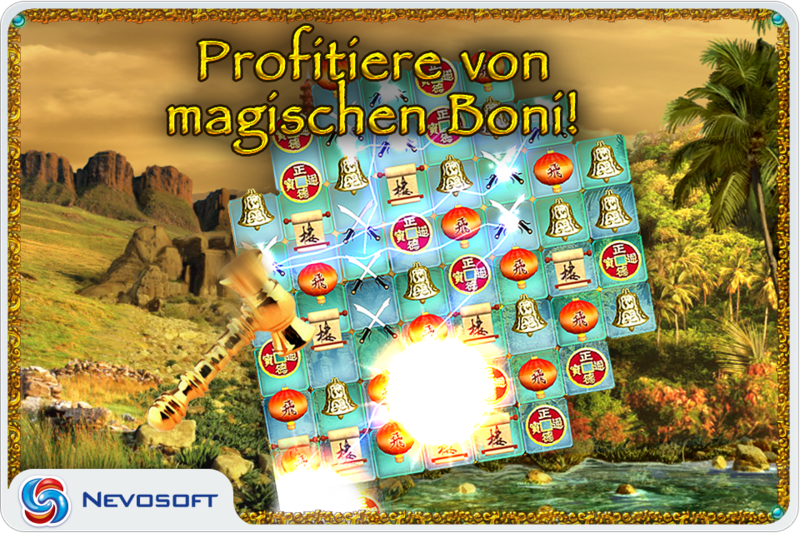 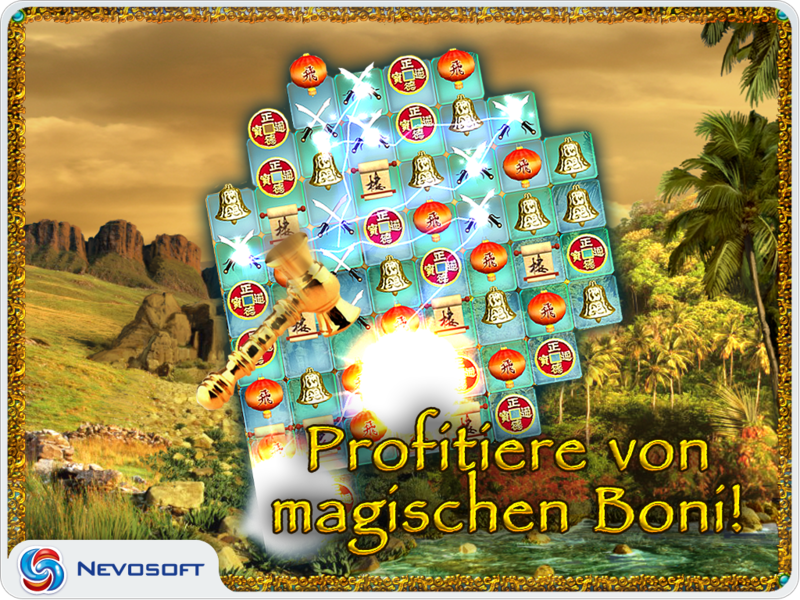 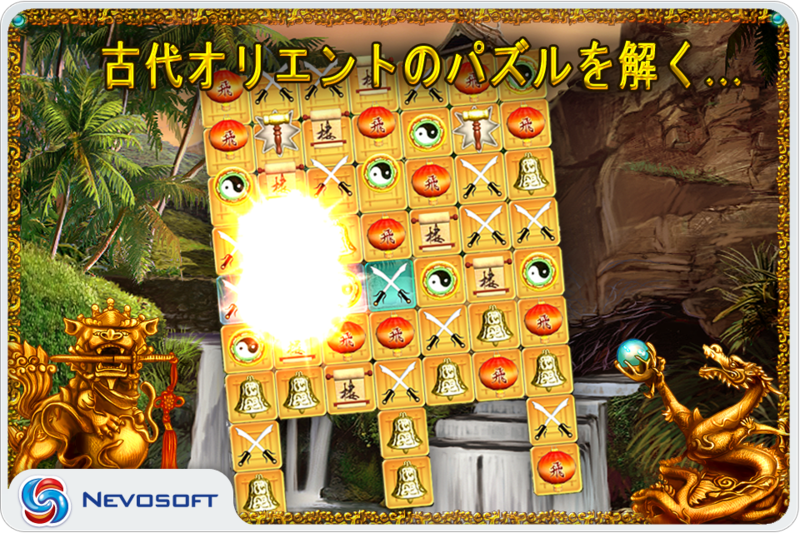 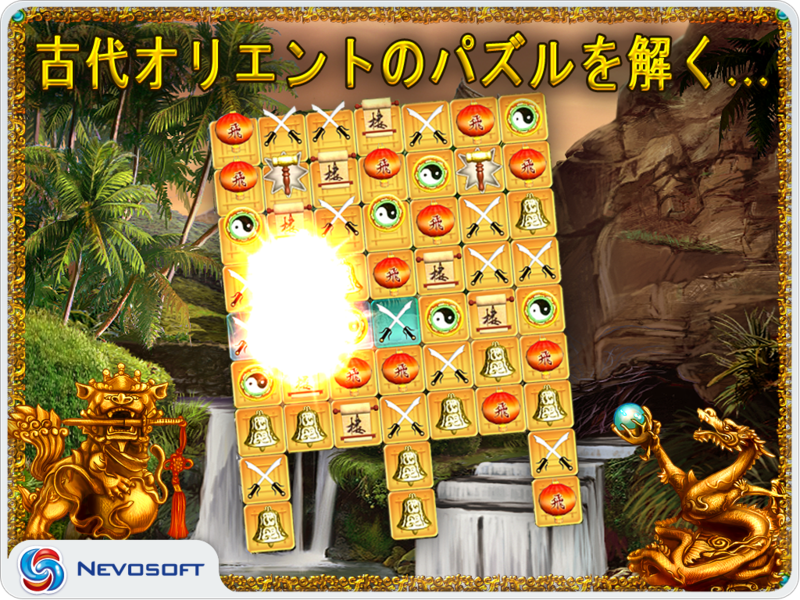 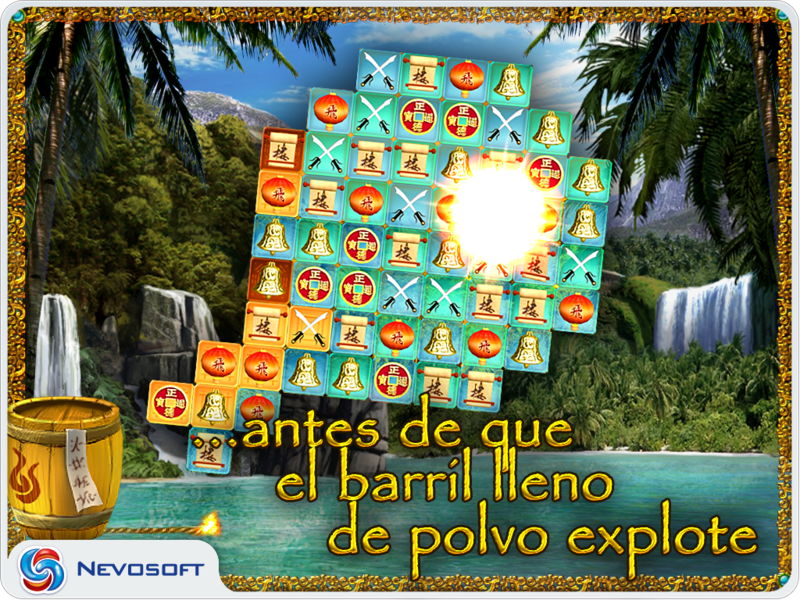 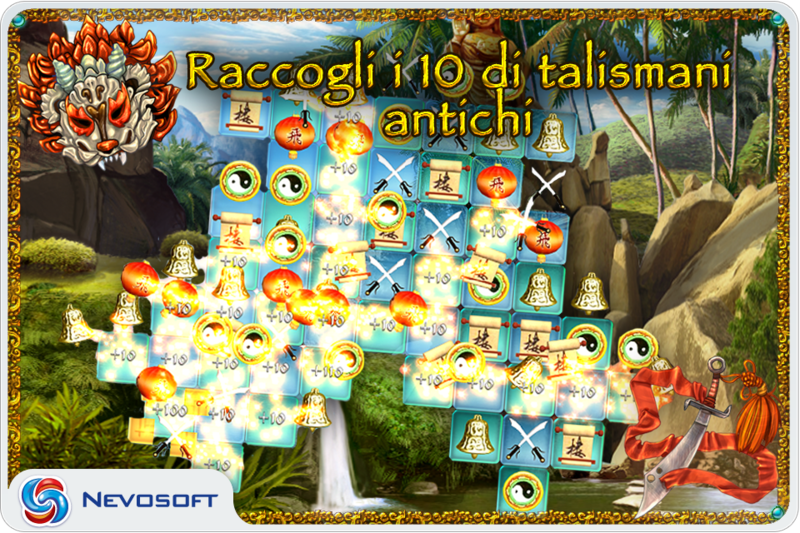 Nevosoft is proud to introduce 10 Talismans for iPad and iPhone. In this "three-in-a-row" puzzle game, you'll travel back in time to find 10 lucky charms which, according to the legend, bring wisdom, power, and wealth. Set to stunning oriental vistas, this puzzle game puts you on a quest to collect ten powerful talismans, which, according to legend, bring wisdom, power, and fortune. 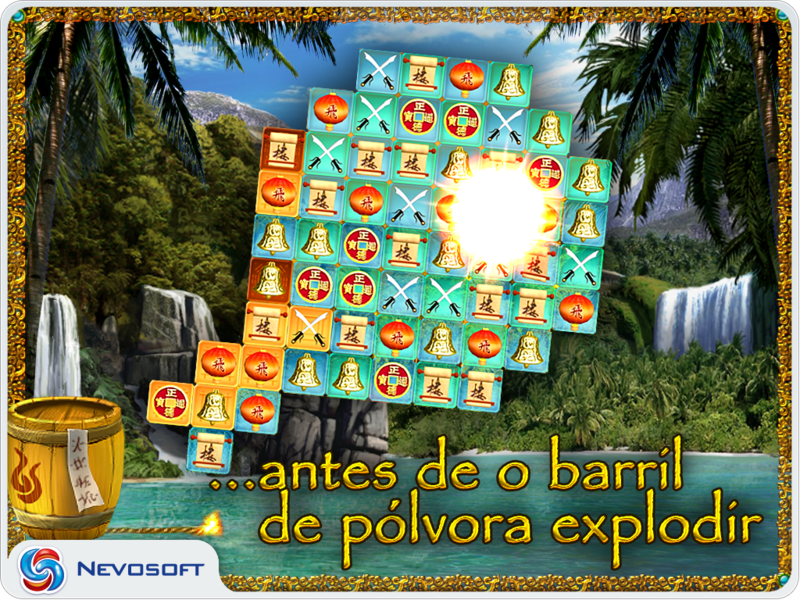 It’s a game of speed, skill, and strategy as you race against the wick that’s burning to a barrel of gunpowder at the bottom of the screen. 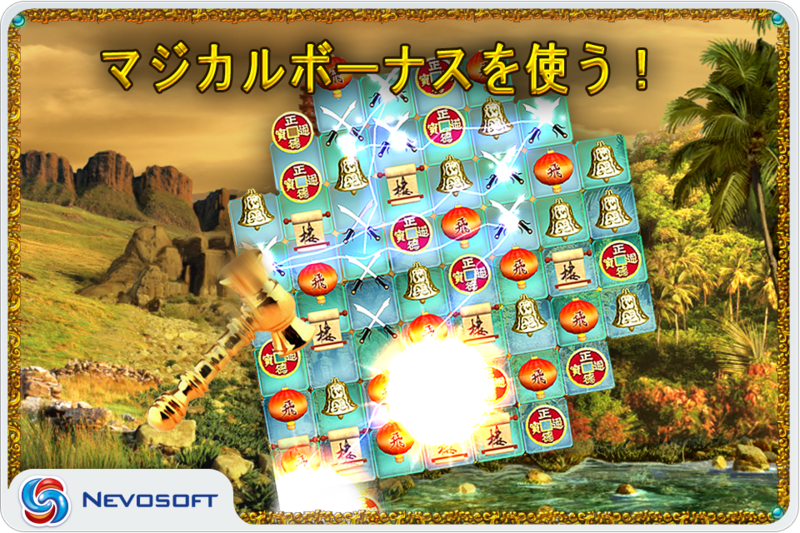 Game-play is very interesting you need to activate sparkling talismans, and the mystical dragon power contained within explodes outward, destroying entire sections of the playfield in a single blow. Invoke the strength of sparking talismans, and electricity suddenly crackles between all tiles bearing the same symbol, instantly removing them from the board. Clear tiles to allow a hammer to fall off the bottom of the grid, and, when you desire, you can select and smash the tile of your choice. Before starting each stage take a second to stop and admire the scenery. It's a great way to unwind after a particularly mind-boggling encounter, or a hard day of work. Game play comes in two flavors - Relaxed, a scenario-based campaign mode tackled level-by-level or Classic where burning fuse puts some pressure on you to finish each level quickly. You are transported into the world of the mysterious East and peaceful soundtrack of classic Asian melodies will soothe you and bring into the game indefinitely. Nevosoft is proud to introduce 10 Talismans for iPad and iPhone. In this "three-in-a-row" puzzle game, you'll travel back in time to find 10 lucky charms which, according to the legend, bring wisdom, power, and wealth. 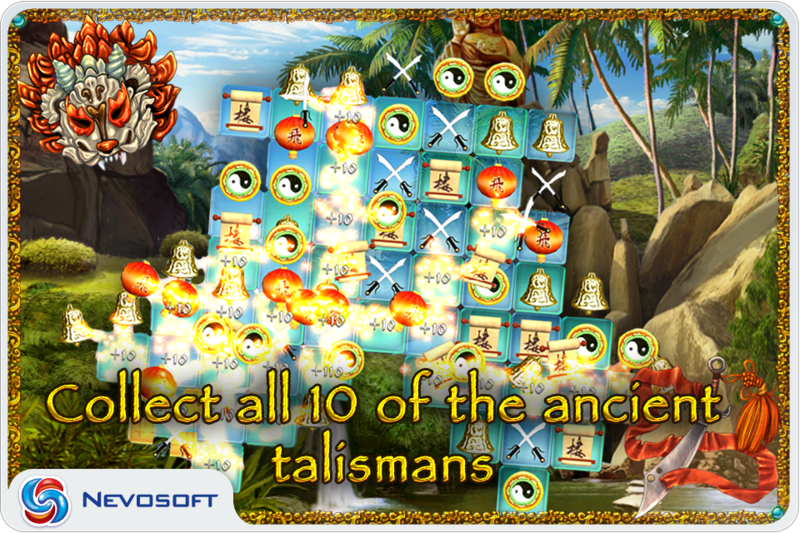 Set to stunning oriental vistas, this puzzle game puts you on a quest to collect ten powerful talismans, which, according to legend, bring wisdom, power, and fortune. It’s a game of speed, skill, and strategy as you race against the wick that’s burning to a barrel of gunpowder at the bottom of the screen. 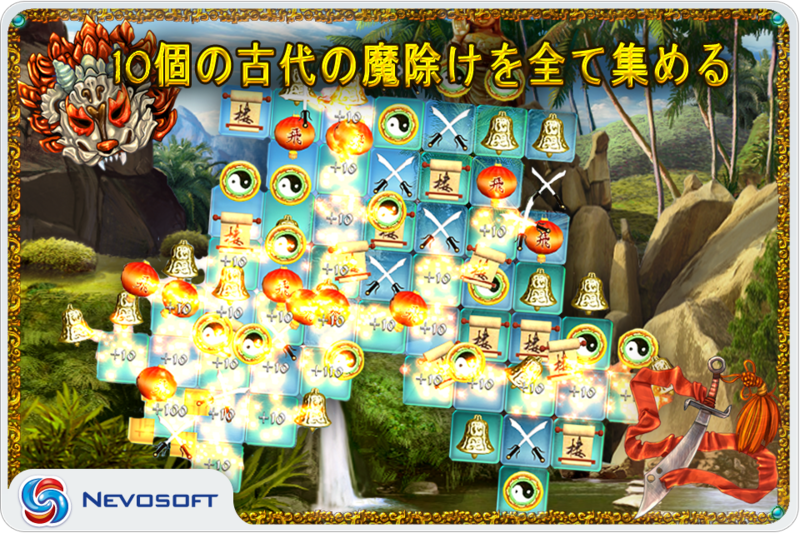 Before starting each stage take a second to stop and admire the scenery. It's a great way to unwind after a particularly mind-boggling encounter, or a hard day of work. Game play comes in two flavors - Relaxed, a scenario-based campaign mode tackled level-by-level or Classic where burning fuse puts some pressure on you to finish each level quickly. You are transported into the world of the mysterious East and peaceful soundtrack of classic Asian melodies will soothe you and bring into the game indefinitely. Nevosoft is proud to introduce 10 Talismans for iPad and iPhone. 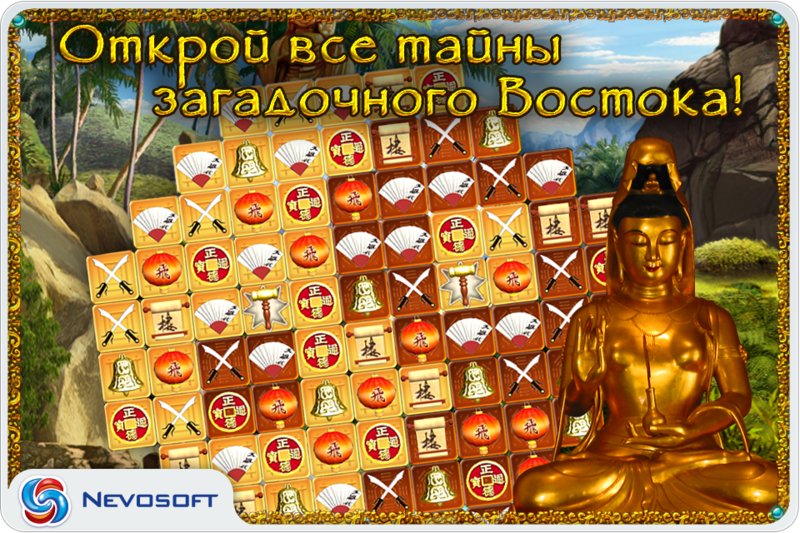 In this "three-in-a-row" puzzle game, you'll travel back in time to find 10 lucky charms which, according to the legend, bring wisdom, power, and wealth. 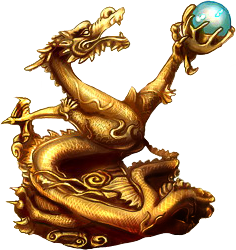 Game-play is very interesting you need to activate sparkling talismans, and the mystical dragon power contained within explodes outward, destroying entire sections of the playfield in a single blow. 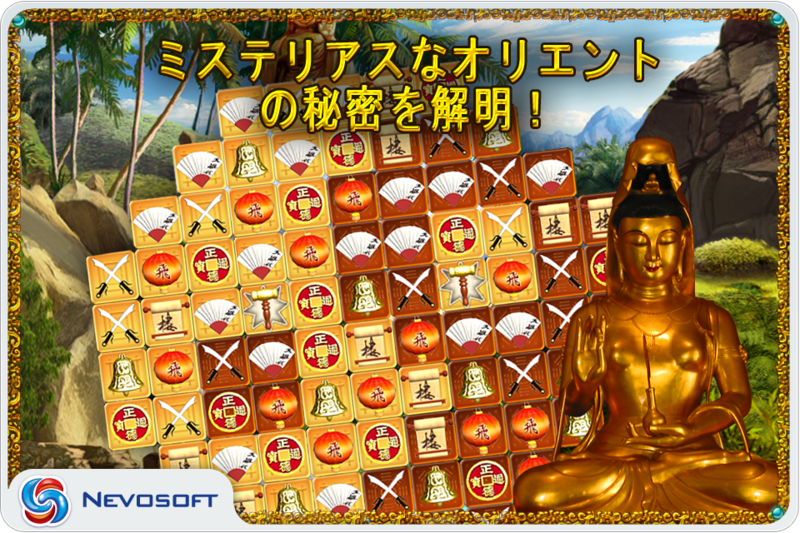 You are transported into the world of the mysterious East and peaceful soundtrack of classic Asian melodies will soothe you and bring into the game indefinitely.